This week we're focused on creative contests and helping those afflicted by the recent natural disasters in the United States. But first, Frank is celebrating May birthdays. If you were born this fine month, please tell Frank your fondest birthday wish (a coordinating userpic is always a treat), and he'll send you a delicious dessert waffle (up through the first ten pages of comments)! In April, natural events pummeled the midwest and southern regions of the United States, breaking the national record for most tornado outbreaks in a given month. In response to these catastrophic occurrences, we're offering a charitable vgift to aid the recovery efforts. LiveJournal will donate proceeds from the sale of our 'Charity:Tornado Relief' vgift (we'll cover all processing fees) to Heart to Heart International, a volunteer-driven program assisting people in the area. We'd also like to give a shout out to helpthesouth, a charity fandom auction created to assist those affected by the recent storms. LiveJournal donated two annual paid accounts to support their efforts. Hot off the digital press, the new bi-monthly ONTD newsletter is the great way to catch up on all the best entertainment gossip and commentary dished out by the ONTD community! Track down the latest scandal with 'Top Stories of the Week,' check out what the ONTD community is saying about celebs in 'Overheard on ONTD,' or test the limits of your own witticism by entering the 'Caption Contest.' Sign up for the ONTD newsletter today (on the right side, halfway down the page)! Congratulations to chocolate_coke, who won this month's header design contest with a beautiful floral arrangement! You'll be seeing this lovely design on the top of LiveJournal during the month of May. We'll accept entries for our next contest up through Monday, May 23rd at 4PM, PDT. If you submitted a header after the last deadline, it will be entered into the next contest. Just a reminder: The winner gets 2,500 LJ Tokens. Finalists receive 1,000 LJ Tokens. All other participants get 500 LJ Tokens (a limit of one award per user). We thank you, again, for making LiveJournal your canvas! Congratulations to ina_ami, 70, and fuzps, who won our journal theme contest! We'll be making these awesome themes available to all of our users! Thank you to the all the winners and participants for lending their artistry to our theme contest. Want to make the most of those mood swings? Current Mood themes are a great way to share how you feel when you post on LiveJournal. There are many different families of themes to choose from, ranging from Brucie's Pengies and Juicy's CuteAliens to Neko's Kao Kitties. 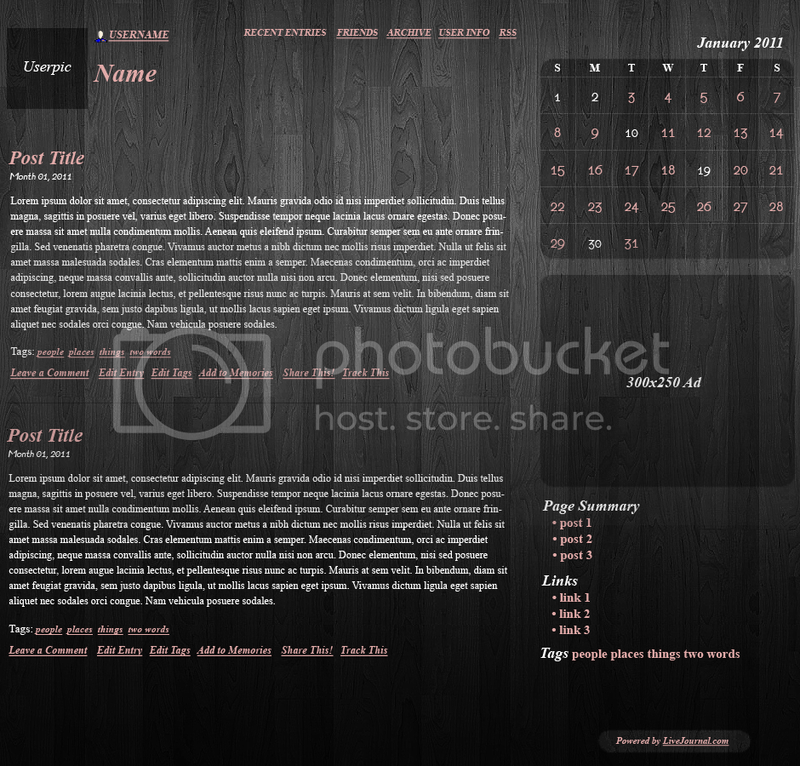 To switch your current mood theme, visit the Customize Journal Style page and scroll down to the Mood Themes section. In addition to the standard Current Mood themes, Plus, Paid, and Permanent users can also create custom mood themes. Once you select a Mood theme, you can pick a keyword (and associated mood icon) to let the LiveJournal world know whether you're feeling jubilant, nauseated, or morose! For more fun with photos, lj_scribe, and Frank & Meme, we'll catch you under the cut! Congrats to jufin, who won our 64th lj_photophile contest! Click here to help choose the next photo of the week. FYI: We pick entries for the poll based on a combination of comments, +1 ratings, and staff input. The winner receives 500 LJ tokens. We thank you for sharing your talent with the global LiveJournal community. Congratulations to darklotus1211, bluespire, glama_llama, and coldagain who won our LJ_Scribe contest! We've selected six finalists in response to our eleventh prompt for your review. In addition to the joy of sharing your well-turned phrases, the authors with the most votes will each win 1,000 LJ Tokens. Finalists will receive 500 LJ Tokens (a limit of one award per user). For our next contest, we'll ask you to respond to the following prompt in any form you choose (no more than 250 words, excluding the prompt): "…nestled in the sand amidst the rocks…" You do not need to include the prompt in your writing. Be sure to post your submissions as entries, rather than comments, to lj_scribe up through Monday, May 9th, at 4PM, PDT. You'll find the +1 rating link under each post, so remember to check back and vote for your favorites! Congratulations to rainbow1907, whose chapter -- Leaving Las Vegas -- was voted the next official chapter in the Frank and Meme saga. You can now begin posting your submissions for the next contest to frankandmeme.